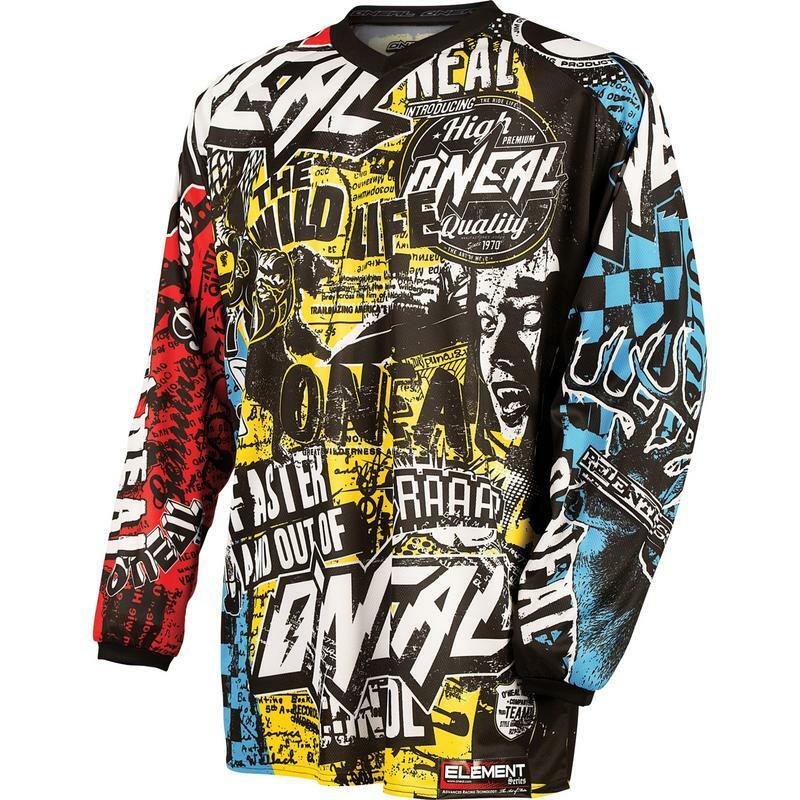 The O'Neal Element Kids 2015 Wild Motocross Jersey is part of the latest Oneal collection. It's the layer of protection that wraps you like a 2nd skin, yet it needs to be comfortable enough, breathable enough, and cut just right so you hardly feel it at all. 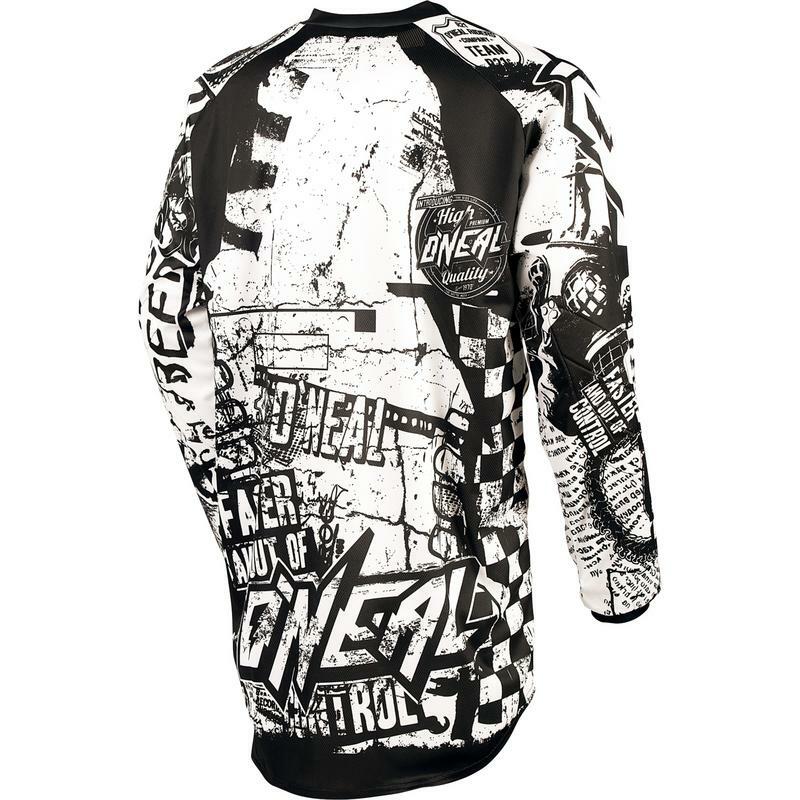 Making the finest in protective apparel is what we have done for decades. 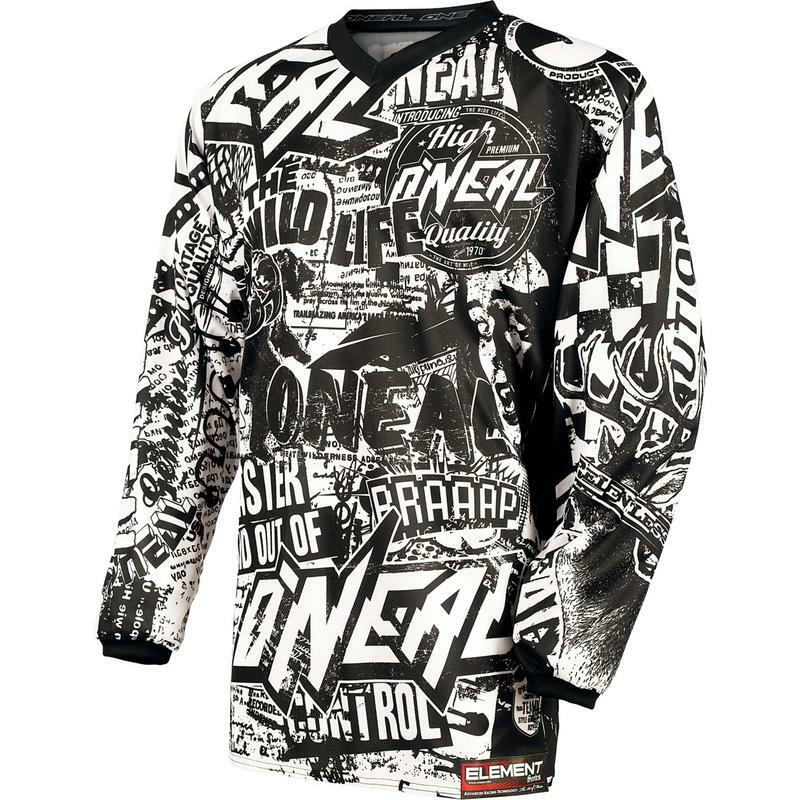 Ride in O'NEAL and you get the best of both worlds; perfect comfort, flexibility, and feel all while providing protection when you need it most. 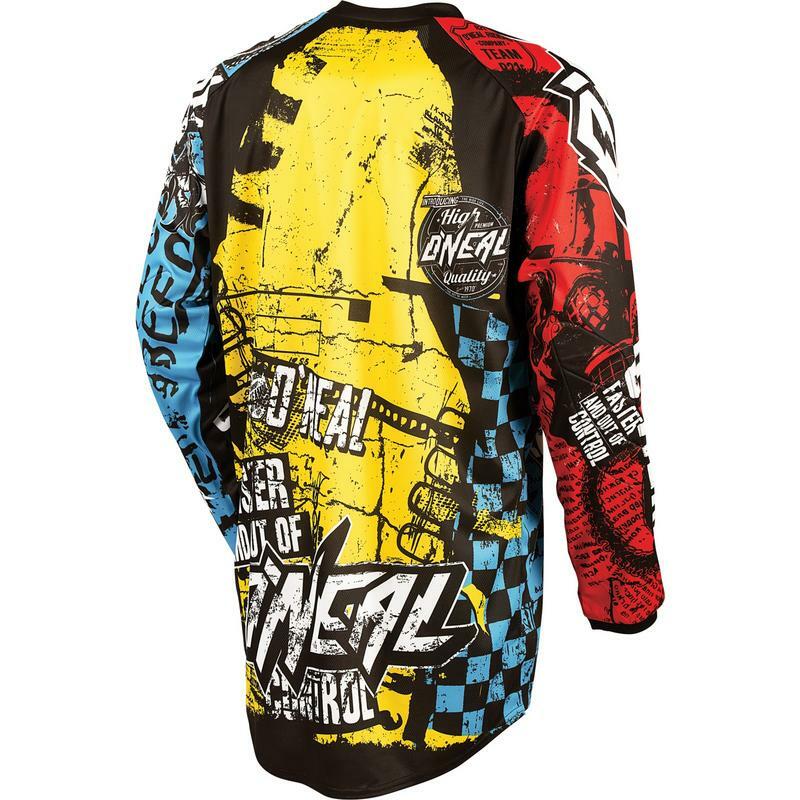 The Element line brings you race ready graphics, superior materials and comes in a wide array of colors and sizes to fit the entire family. 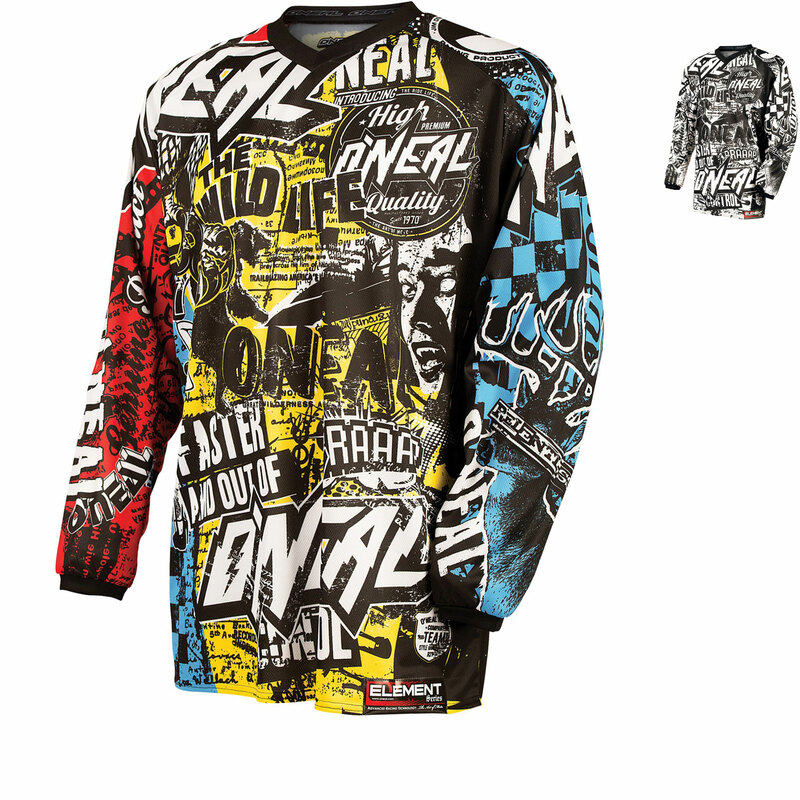 View all Oneal Motocross Helmets & Clothing Please click here to see what's currently available. Please click here to to view matching kit.